A central priority for of the conceptual design for this public amenity was to make visible the relationships between water and the built environment. Located along the picturesque Willamette River, the site design implemented an innovative approach to create a public park, an interpretive display, and an 800-foot concrete and stone wall. The cornerstone of the project’s environmental design is a water feature which draws and recirculates water from the Willamette River. 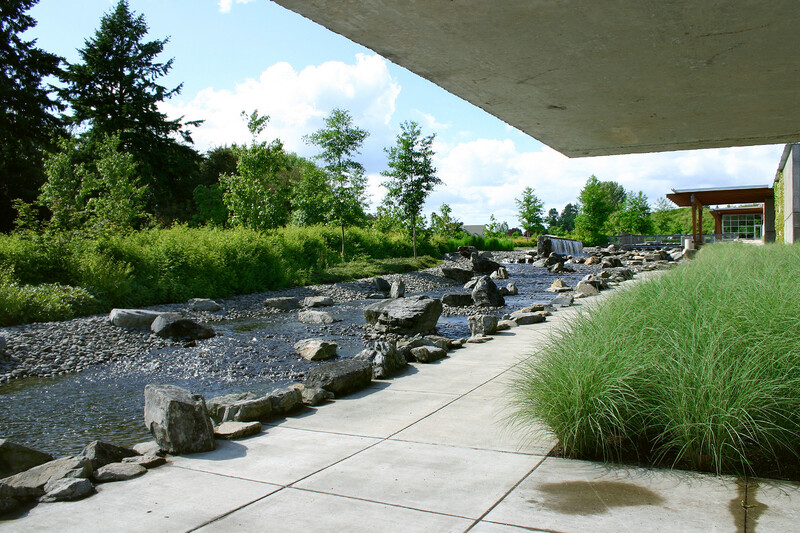 Located adjacent to the treatment plant, the water feature provides an educational opportunity and public amenity, by exposing the water purification process to visitors of the park. Community use of the park is encouraged through picnic areas, an open meadow for recreation, and pedestrian and bicycle paths.